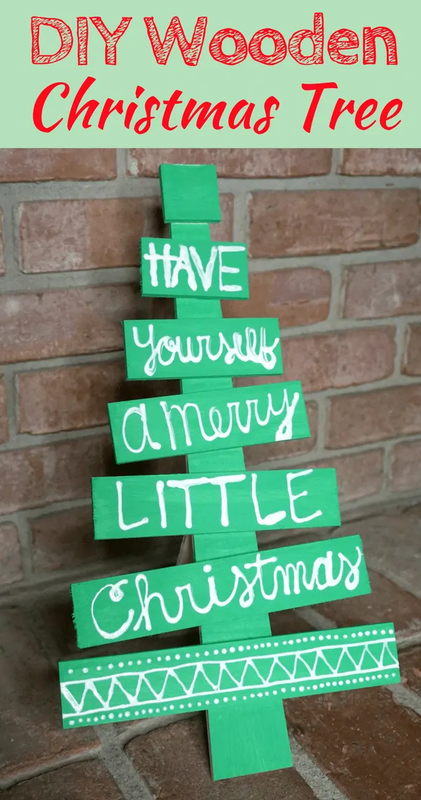 This DIY holiday phrase wooden Christmas tree is the perfect easy DIY Christmas decoration idea. It will make a great addition to your holiday decor. I love how this DIY Christmas decor project came out, so I wanted to make sure to share it with you guys! 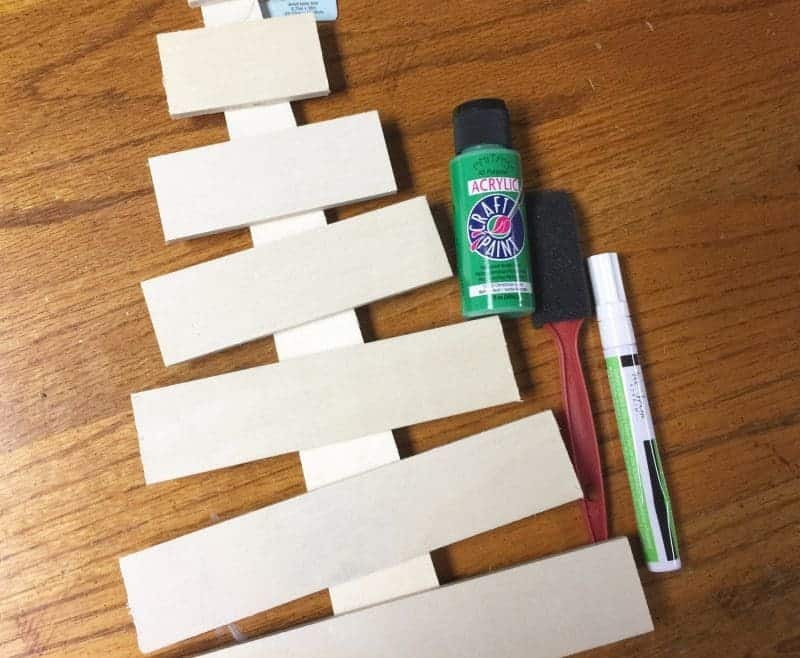 We started with a blank wooden christmas tree that we picked up at Hobby Lobby. However, you can easily make your own tree by nailing planks of wood together. 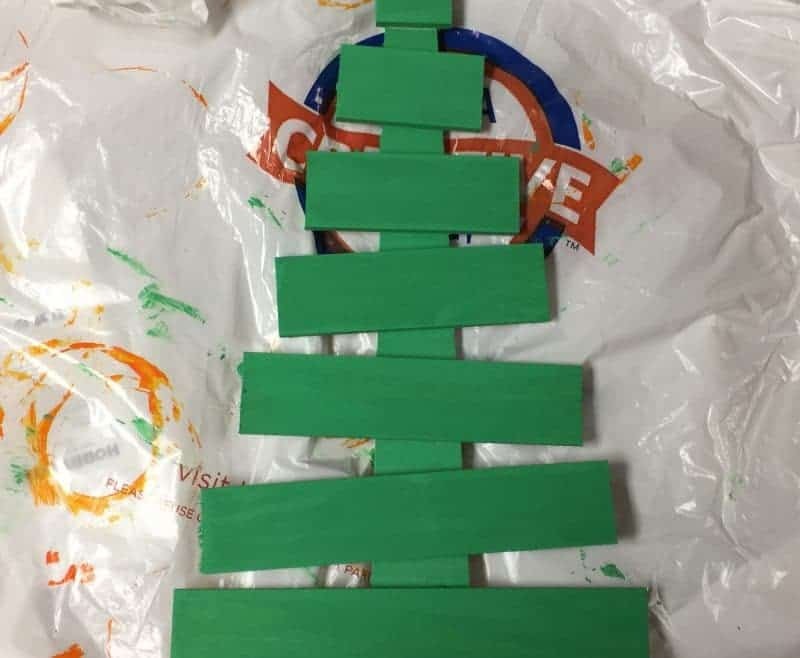 To start simply paint your blank tree green, you can choose whatever color you would like if you wanted to use gold or silver it would be beautiful as well but I wanted to keep my tree green to resemble a standard Christmas tree. Next you're just going to choose whichever Holiday phrase you like best, I chose “Have Yourself a Merry Little Christmas” I left my very top panel blank because it is too small to really write anything on it but if you choose a different phrase you may want to use that spot. 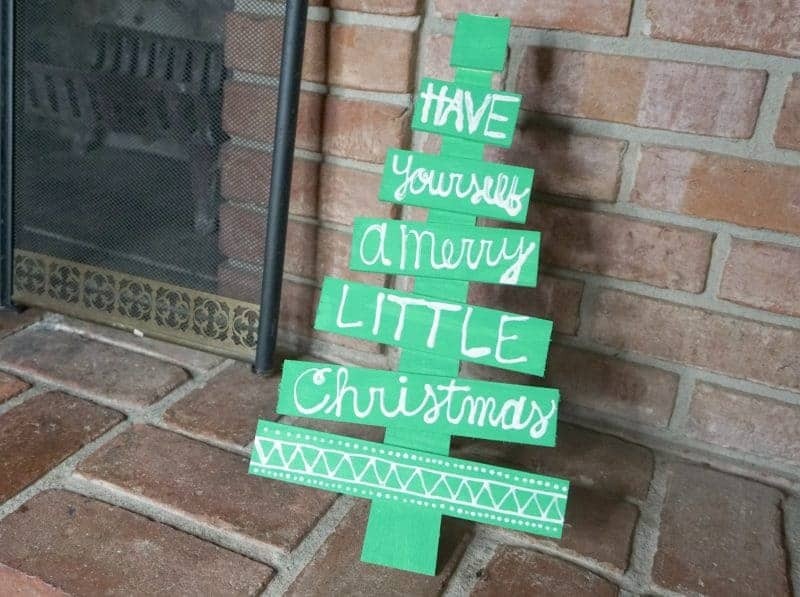 I had a blank space left over after writing my phrase so I decided to make a little simple design just using triangles and dots, you can customize your tree to make it look however you would like! Lastly just wait a couple of hours for your tree to fully dry and you are good to go to start displaying it and having it looking great around your house! 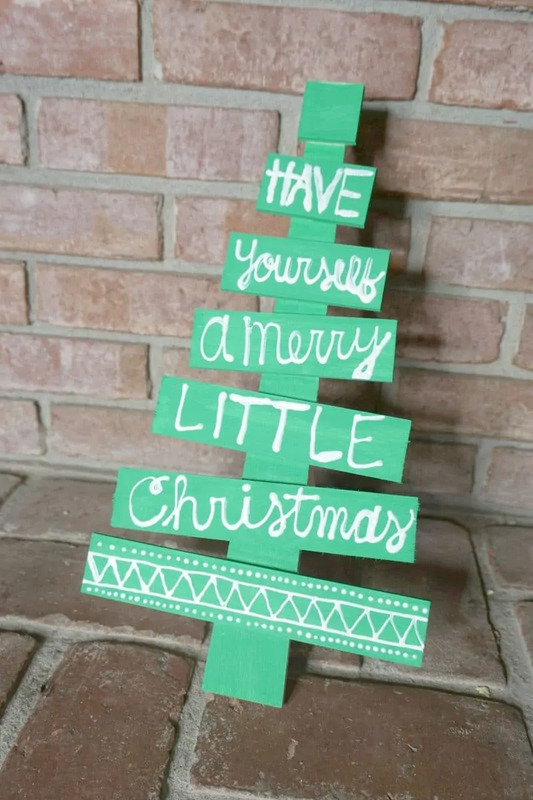 Of course, you can customize this DIY holiday craft by writing any holiday phrase or song lyrics that you choose. What is your favorite holiday phrase? I really think this looks great & it seems very doable, too. Really nice! 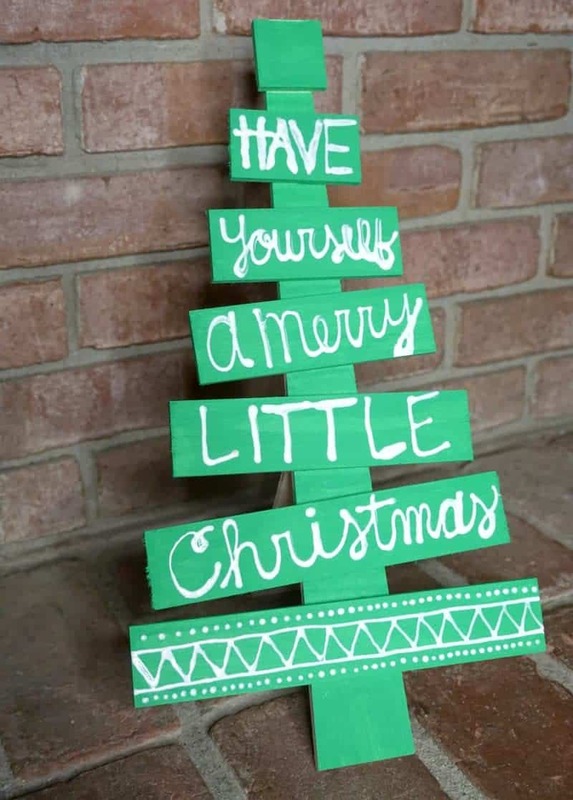 I havent done wooden christmas tree yet but seeing this makes me want to build one as I really appreciate the way it looks and it looks great to me. Thank you for sharing it. So cute and easy to make. I love this idea! I will be making some this year, thank you. Thanks for sharing this super cute idea!